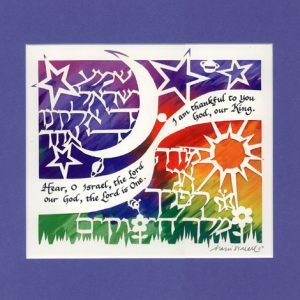 Categories: Gifts for the Jewish Home, Jewish Wedding Gifts, Ketubah: Jewish Marriage Contract. 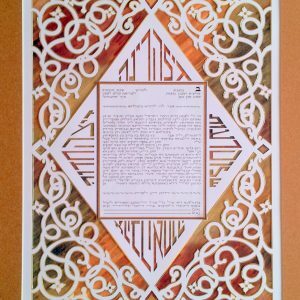 Tags: Jewish gift, Jewish Wedding Gift, Judaica, Ketubah, Marci Wiesel, Papercut, Papercut Ketubah. 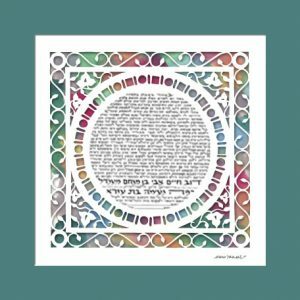 This exquisite ketubah depicts a blooming walkway, with its view in perspective, which allows the observer to feel like they are actually entering the space of the artwork. 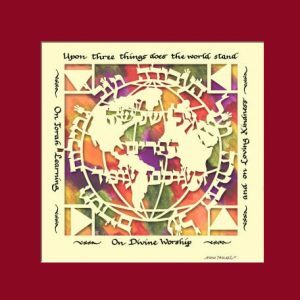 Placed above the gateway is a reference to G-d. 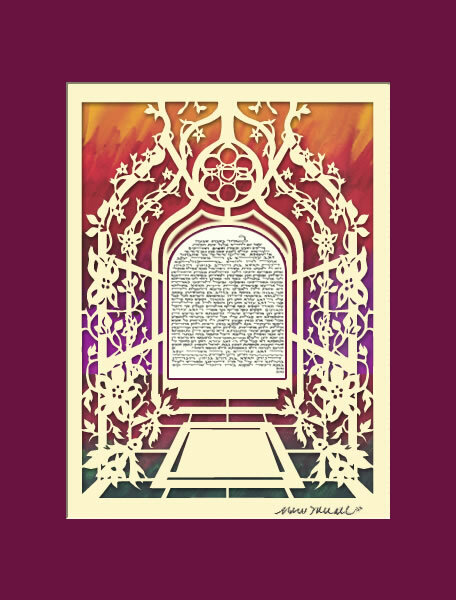 The letters are an acronym for “We trust in G-d.” This original papercut Judaica design, created by artist Marci Wiesel in Israel, will make an outstanding choice of ketubah for the new couple.